Moves like Jagger. Ummm, well, let's say it was less like Jagger and more like a stagger. It was every bit as challenging as expected, and then some. But, it's all done, we've moved and it is outrageously beautiful here. We are so happy. It's Thursday evening on a long weekend here in the Emirates. Public holidays here are almost always religious holidays and therefore are not fixed dates. They are based on lunar sightings and so they are usually confirmed fairly late in the day - like less than a week before. So although I'd like to suggest that this additional day was part of my strategy when planning our move, I'd be lying. It was in fact a complete fluke and the wind just happened to be blowing in the right direction. So, with the extra day we've even managed to hang most of our pictures (except for the massive ones) and empty those last few boxes that don't usually get touched until you have some random fancy dress event or are looking for the Christmas decs. The whole exercise was a labour of love. But the costs, financial, time and emotion spent on the renovations and the move are well worth it. We are now feeling completely settled again and enjoying being in our new apartment. Although our move was not far (in fact, within the same development), most of you will know that it is rarely the distance you move that is the rating item. Whether it is 100 kilometers or 100 meters, the same boxes need to be packed, utilities disconnected and reconnected, the same pictures hung. So now it is time to relax and recharge after a brutal week. 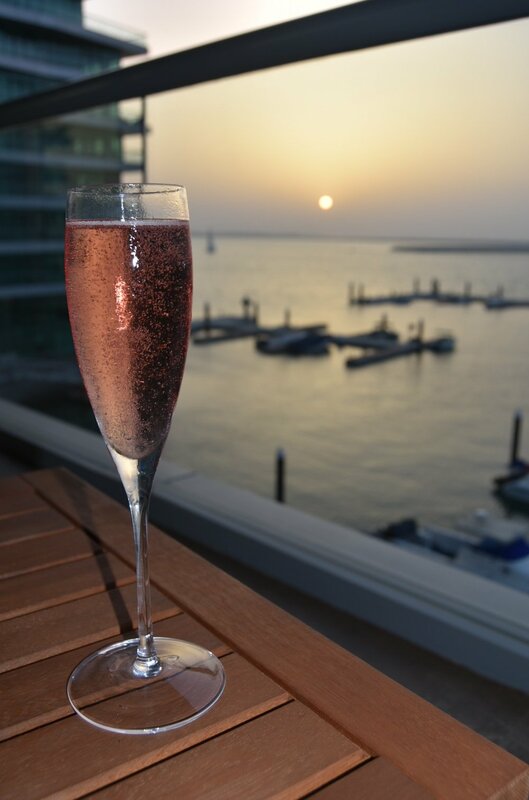 We did this with a champagne for me and a Negroni for Matt sitting on our balcony at sunset overlooking the beautiful blue water of the marina and Arabian Gulf below us. It was...satisfying. Tomorrow we will spend the day at the Yas Beach Club, which is 5 minutes from our home. A beach cabana, cool cocktails and other beverages, some good sounds and topping up the tan as we move into summer. It is already mid-30s during the day now which is perfect for laying by the beach and pool. I can’t wait.